Ranking Tracking, Backlink Monitoring, Visitors, Tweets, Clicks, Posts, Impressions, Views, EVERYTHING. All in one place, available on desktop, tablet, phone, or delivered to your inbox. With Advanced Tracking monitoring your online presences has never been easier. Discover your website’s rank for Google, Bing, and Google Local search engine results. 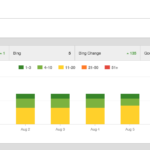 Track changes over time, and the effectiveness of your marketing campaigns and SEO efforts. Our cloud based system updates rankings daily and accurately. Find and track what websites are linking to you and where your website getting mentioned online. 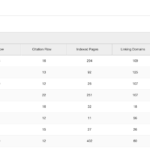 Our backlink monitoring tool provides detailed information about the value of each link including Trust Flow, Citation Flow, and even links that have gone missing. 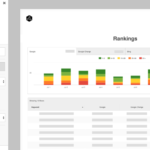 Take your tracking further by integrating Google Analytics, Google Webmaster Tools, Adwords, and Facebook Ads into your dashboard. 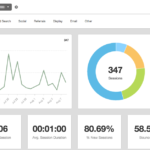 Monitor Users, Pageviews, Clicks, Impressions, and more all from one location. 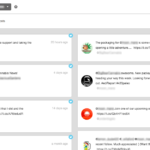 Monitor engagement on Twitter, Facebook, Instagram, LinkedIn and Youtube at a glance! Reply to comments and schedule follow-up posts all in the same place. Our 24/7 dashboard gives you all of your website’s essential information in a clear and easy to use view on any device. Understanding how your audience interacts with you and how your digital marketing campaigns are performing has never been easier. We deliver custom tailored reports weekly or monthly to you and your team with just the information you need. More accurate than ever and delivered right on time. To get started click the Buy Now button under the plan you wish to purchase above. Once you have completed the purchase you will be directed to a form where we will gather your account information. We will establish your account and send you login credentials within 24 hours. If you experience any issues please contact us here. How do I add/change Keywords to track? 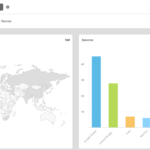 Advanced subscription plans have the ability to manage Keywords through the Advanced Tracking Dashboard. For other plans please submit changes to us via the contact form. We may contact you to verify certain changes. Of course! Please submit changes plan change requests via the contact form. Absolutely! Please let us know a good time to reach you via the contact form. Passwords can be recovered on the Advanced Tracking login page at http://tracking.modernorganic.org. If you are experiencing any issues please use the contact form. You can cancel your account any time by following this link. How do I pick Keywords to track? If you have questions or would like suggestions on keywords to track please let us know a good time to reach you and we’ll be happy to assist!